PETALING JAYA (Sept 12): Council of Eminent Persons (CEP) chairman Tun Daim Zainuddin has told disgruntled Kampung Baru folk who are unhappy with the development of the area to take it up with Prime Minister Tun Dr Mahathir Mohamad and other leaders of the Malay community instead of just complaining, reported Free Malaysia Today. “You should have gone there (the Bumiputera Congress) and told them (the prime minister and other leaders) that you do not want Kampung Baru to be disturbed, that they should leave it to the people of Kampung Baru,” he told them at a a meeting with Titiwangsa residents in Kuala Lumpur yesterday. The ex-Finance Minister observed that while the residents were concerned about the modernisation of the Malay stronghold in the city, they could not reach a consensus on its future direction. 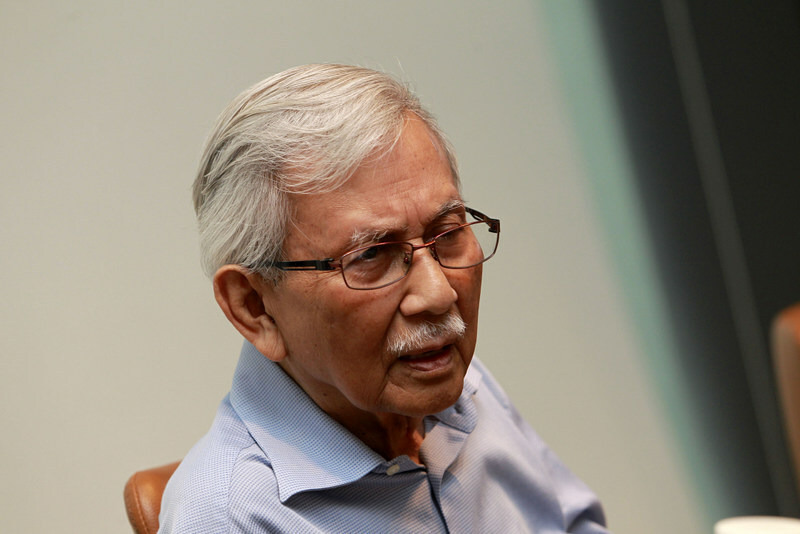 Daim warned that the residents' indecisiveness could affect them negatively. He and Rural and Regional Development Minister Rina Harun, who was also present at the meeting, both affirmed that Kampung Baru was to remain as a “centre for Malays in Kuala Lumpur”. According to Rina, the government will hold a congress for Titiwangsa residents to achieve a unanimous decision on the matter. She also revealed that the new Kampung Baru Development Association would feature village representatives voted in by the residents. The ministry will discuss the matter with residents consultative councils and others from Desa Pandan, Kampung Baru, Datuk Keramat, Maluri, Ampang and Cochrane. The fragmented land ownership within the 118-year-old village remains the greatest hurdle to the implementation of the Kampung Baru Detailed Development Master Plan. In July, Federal Territories Minister Khalid Samad said his ministry will be reviewing the development plan. He added that he will discuss an alternative with Prime Minister Tun Dr Mahathir Mohamad that will not burden the government financially.